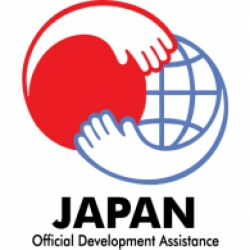 The government of Japan Internship Program, 2017 is open to nationals of developing countries (OECD/DAC-listed countries). Applicants of Government of Japan Internship Program, 2017 must agree with the spirit of the program, work together to build networks with overseas universities and promote the internationalization of Japanese companies, develop the overseas business of Japanese companies. Applicants should possess citizenship of an eligible country. Applicants must be proficient in either Japanese (JLPT level N3 or higher) or English. The age of the applicants should be between 20-40 years. Candidates applying for Government of Japan Internship Program, 2017 should submit an enrollment/graduation certificate of their school/university and a letter of recommendation from an affiliated university/institution. Candidates should have the ability to take up internship and Pre-Training full-time at the host company. All the other requirements of the host company should also be met. Candidates who have participated in this program in 2016 are ineligible to apply. Certificates of university qualifications, language skills, etc. Application was submitted in May, 2018. Application was submitted in January, 2019.